All our panels are a standard 6ft (1.83m) wide. 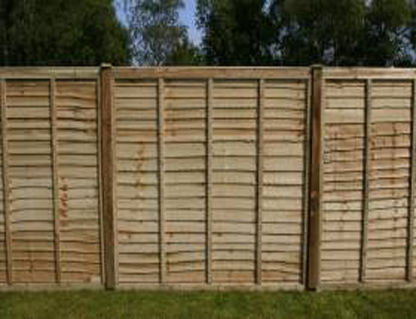 A very strong form of the traditional fencing panel 6ft wide and available in varying heights. These panels benefit of being fully nailed and pressure treated. This panel has a 75mm top and bottom rail and is manufactured by us in our own workshops.